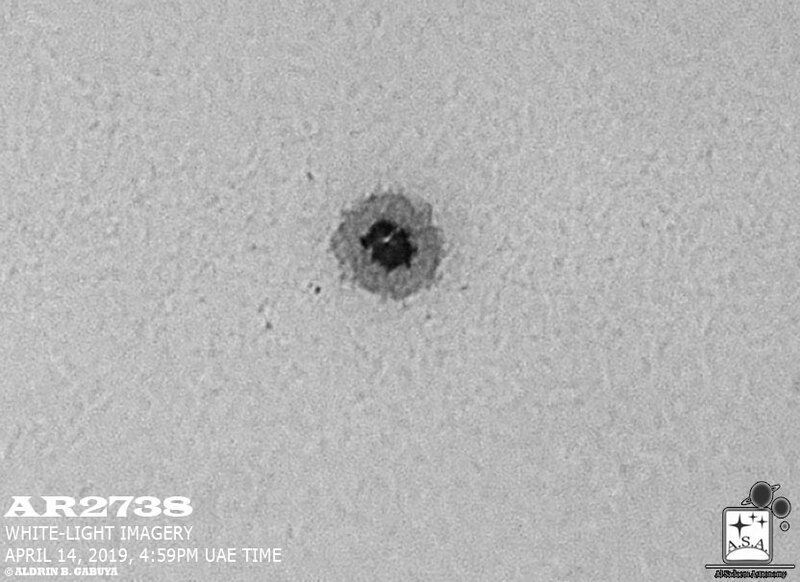 From the previous solar monitoring issue, the lone visible sunspot group AR2738 (Modified Zurich/Mcintosh sunspot configuration: Cho/alpha) has been producing several minor B-class solar flares as it transits across the solar disk. 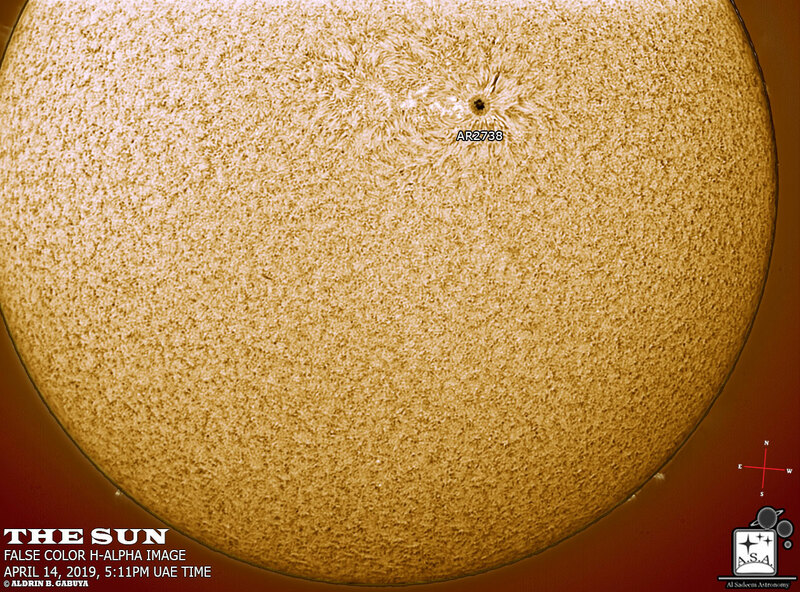 Its sunspot structure has not experienced any significant change over the past few days, exhibiting a huge leader spot with a “light-bridge” and some small spots on its trailer, spanning about 200,000 kilometers across. 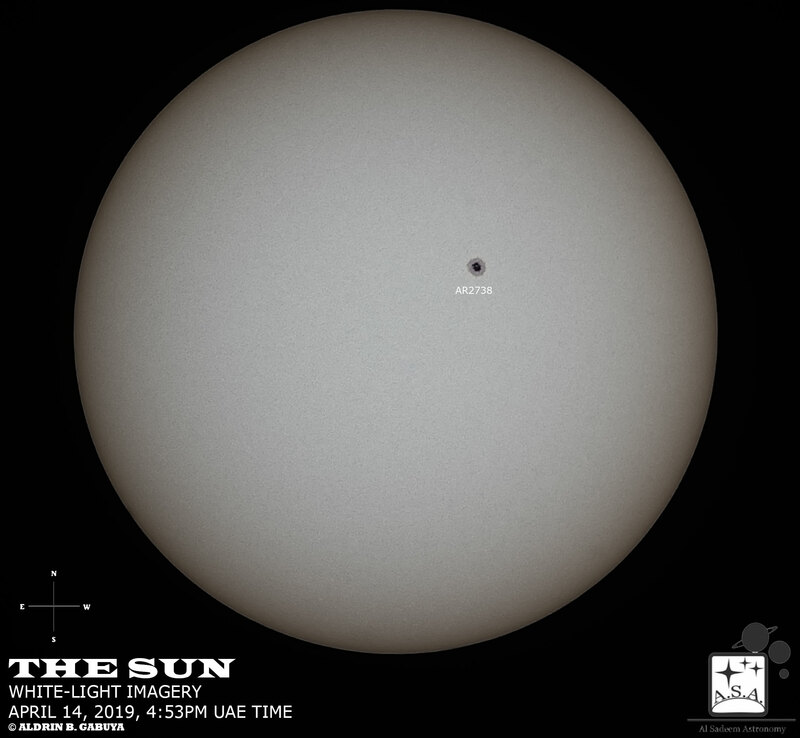 The latest sunspot number (based on visual count and Wolf number calculation) is 15. 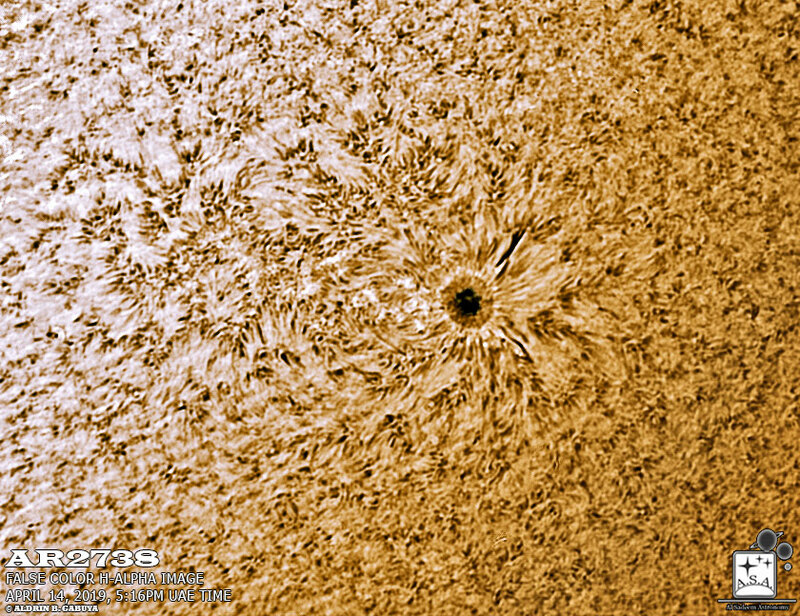 Some huge eruptive hedgerow prominences at the limbs, as well as the widely scattered plages associated with AR2738, were distinctively captured in H-alpha imagery. Space weather agencies* forecast solar activity to remain at low levels with chances of weak X-ray fluxes or flares ranging up to B-class (possibly up to isolated C-class) intensity, mainly from AR2738. 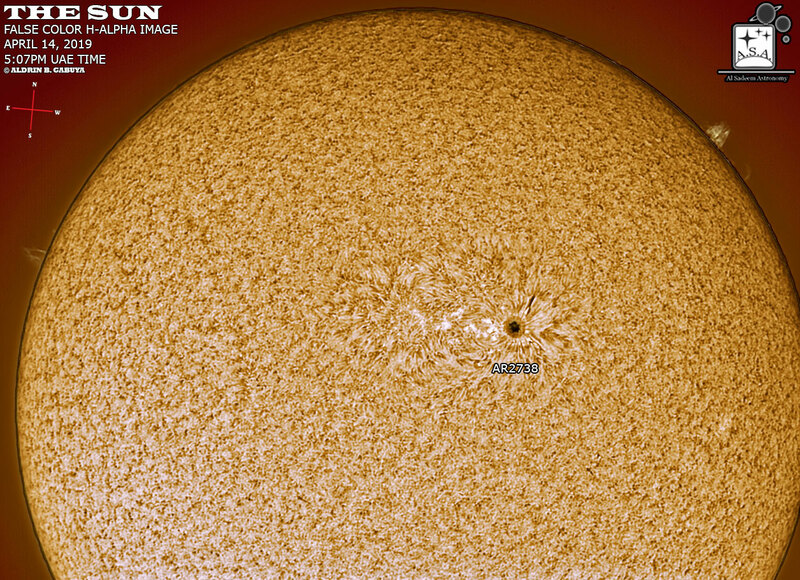 The extent of the frequency and intensity of the Sun’s activity will highly depend on the magnetic flux fluctuations happening in the visible ARs in the coming days. 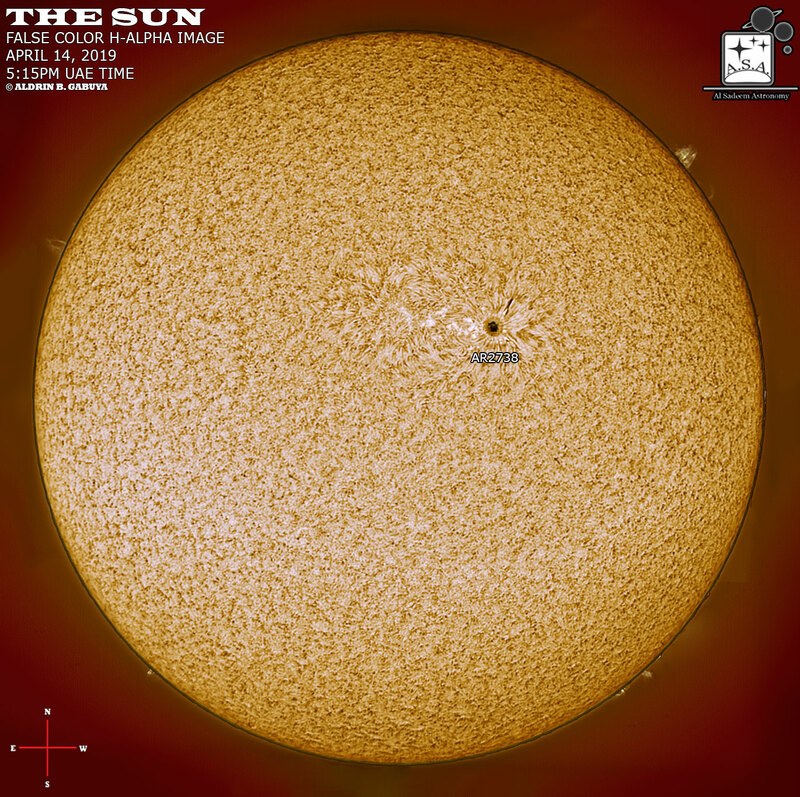 Close monitoring is being conducted by numerous space weather agencies for any significant development.